On Friday, November 20th, visit one of our participating locations and purchase yourself a hot and fresh cup of coffee. 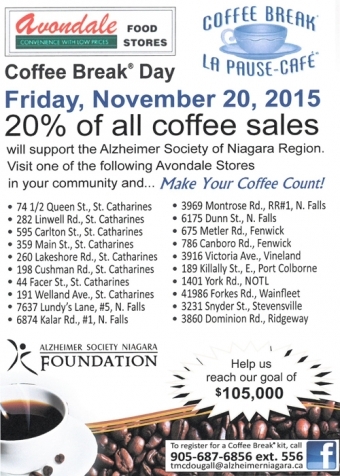 20% of all coffee sales at these locations will be donated to the Alzheimer Society of Niagara - what a great cause! Check out the image below for participating locations!